You are looking at Absorb Health’s Longevity Power Pack with one bottle of 100 capsules each of Artemisinin and Pterostilbene and one bottle of Liposomal Resveratrol (4oz). Want to ensure a long, healthy life? Then the longevity power pack was made for you! We’ve combined three powerful ingredients to promote longevity. These supplements act by different mechanisms ensuring you have the best opportunity to improve your longevity possible. Save time and money by purchasing them all together. Other products you may be interested in include: Brain Booster Power Pack, Brain Repair Power Pack, and Mood Booster Power Pack. 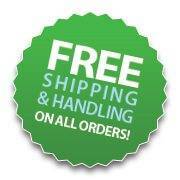 All orders ship within a day and come with a money back guarantee. Free U.S. shipping on all orders over $75. Thank you for shopping with Absorb Health, and please remember us for all your Mind, Body, and Spirit solutions! Ingredients per capsule: Artemisinin (100mg), maltodextrin, silica. Pterostilbene: Pterostilbene (100mg), maltodextrin, silica.